Rutgers University police say they're investigating a report of a shooting on a campus parking lot in Piscataway Friday evening. Campus police say two men were seen arguing in Lot 103 just before 5 p.m., one armed with a machete and another armed with a handgun. The gunman reportedly fired at a parked car inside the lot, then fled in a black SUV away from campus, police said. 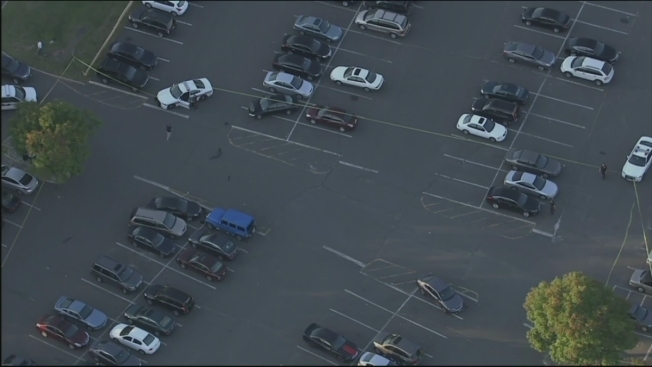 Chopper 4 over the scene showed several parked cars askew, apparently pushed by the fleeing car. Rutgers University police is asking anyone with information to contact them, and remind students, faculty and staff that they provide security escorts upon request.